Do you know what you want for your study? Do you know what you want for your career? Do you know what you want for your love one? Do you know what you want when making decisions in life? If you have difficulty in knowing what you want when standing at the junction of the cross road, you have to find ways to better understand yourself so that you know what to do to make a right decision. 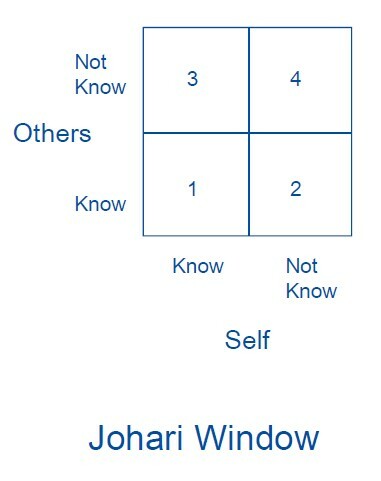 The Johari Window (see diagram) will help you know more about yourself. I know & You know. Everybody knows “this information” about me. It is the area of open and free space for making decision. One can make the right decision without any hesitation. You know but I don’t know. It is the area of blind spot. One may fall in the trap of “not knowing” and tend to make wrong decision. I know but You don’t know. It is the area of privacy. One will easily be misunderstood by others and may not have the support needed for making decisions. You and I are don’t know. It is the area of unknown. One can spend time and effort to explore new endeavours to unlock one’s potential. To make a sound decision, one has to enlarge “Window 1: You know and I know” – the area to be known to yourself and others. You can ask your respected families or good old friends about your area of blind spot. Ask those who are reliable and know you well. They can provide you an authentic feedback. You can also open up yourself by sharing with others your experience, thoughts, likes and dislikes. You will soon realize that the more you open up, the more friendship and trust you will establish. To discover your hidden potential, you have to put in continuous effort and be brave to make new moves. A Chinese wisdom says that “Knowing you and knowing me will make our battle never lose”. To discover oneself is only the beginning of the journey to success.